Personalized Chapstick in Bulk, Natural, FDA approved, SPF15. Personalized Natural Chapsticks in Bulk, w/ full color custom imprint. Promotional, Inexpensive, FDA approved. Top quality, Beeswax base, All Natural, Organic ingredients! Budget Prices for USA, Canada. On sale today! Please see the Price Table below. Add moisture to dry promotions with this all natural lip balm. Made with all natural beeswax, this lip balm is made in America, FDA approved and PABA free! This beauty accessory is perfect for healthcare and beauty promotions, outdoor activities, or as an additional token in a gift bag. 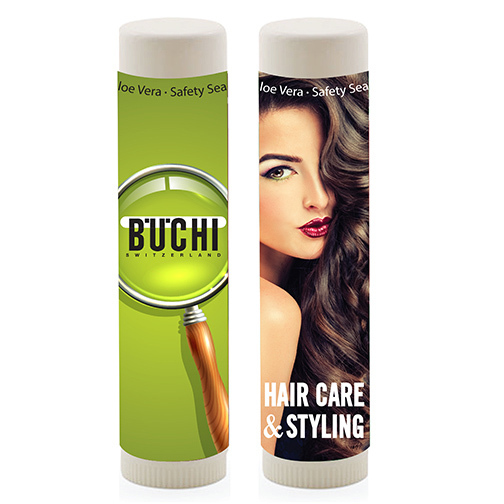 Refresh your lips and branding to the public with this moisturizing utensil. 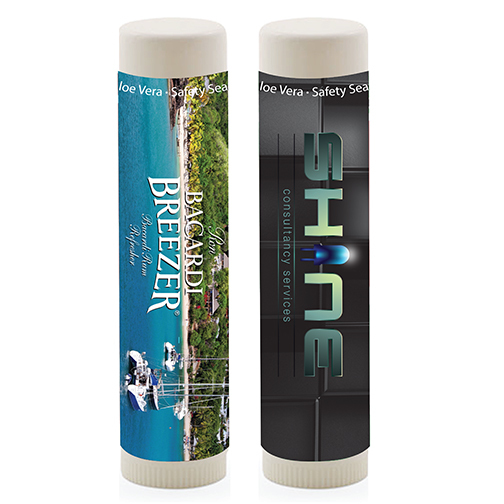 Our lip balm is printed in full color process on clear, metallic or white decal for your retail look.